The new Apple Watch Series 3 launched a couple of weeks ago and now Apple has also launched the new Nike+ models of the device. The new Nike+ Apple Watch Series 3 are now available to buy from the Apple Store online and also Apple’s retail stores. 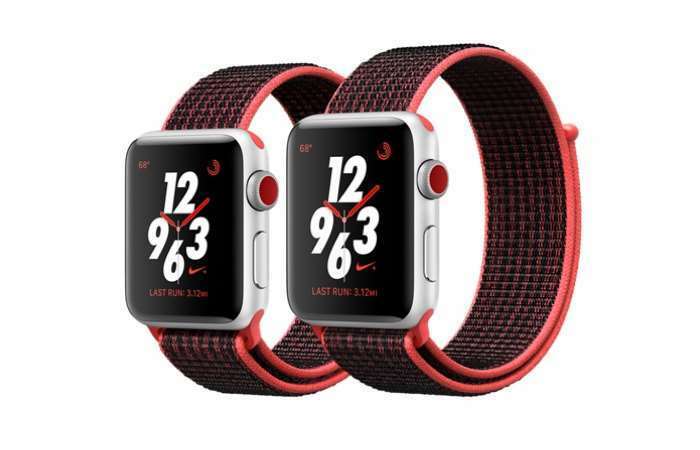 Pricing for the Nike+ Apple Watch 3 starts at $329 for the GPS only model and $399 for the GPS and Cellular model.Both watches are available in 38mm and 42mm sizes. There are a number of different finishes to choose from including Space Gray and Silver aluminum cases and also a wide range of watch straps. You can find out more details about the new Nike+ Apple Watch over at Apple at the link below.